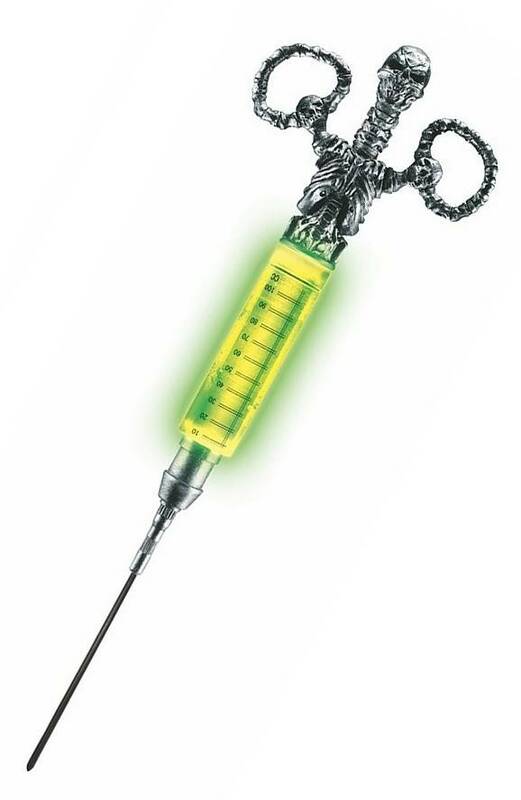 Oversized "Skeleton" Shaped Syringe complete with Green Glow Stick. 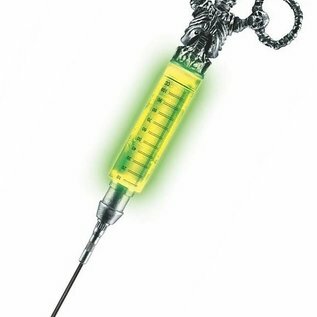 This Radioactive Glowing Syringe is a great addition for your mad scientist or crazy doctor costume. This prop makes a great Halloween decoration too. Could make for a cool part of an attraction duting a walk through hounted house. Comes with one glow stick that glows in the dark. Replace with glow sticks that can be found in party stores. Looks dangerous but has a soft plastic tip.